Let's not beat around the proverbial bush: dried fruit is good for you. It's rich in vitamins and high in fiber. The problem is, how does a company promote their use in foods? 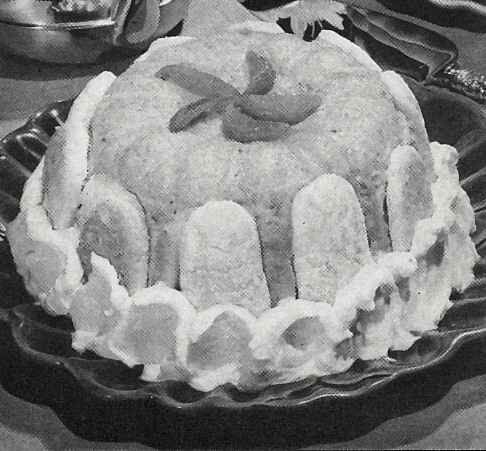 Why, with a recipe book, of course - with sensibilites to match the era. In this case, the dawn of the Atomic Age. 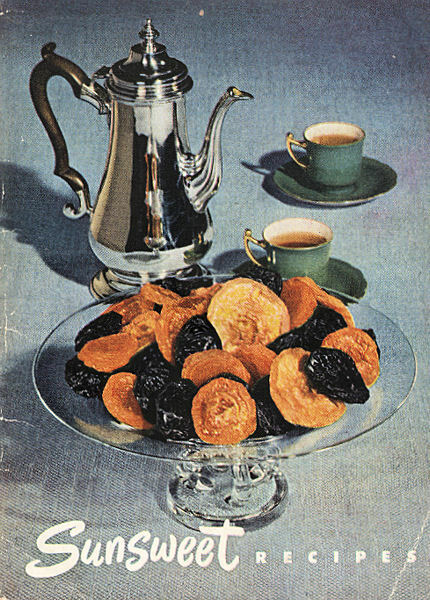 The cover isn't bad - an elegant display of dried fruits with coffee. It's when you get inside that the real horror begins. Happy Birthday, Junior! 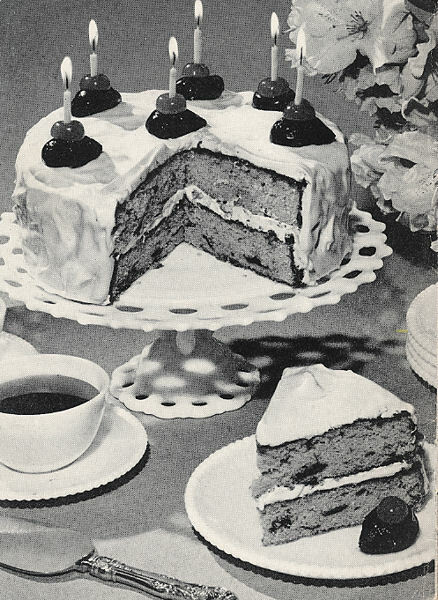 It's prune cake! Mommy was so busy arranging the dried fruit for her bridge party that she switched our cake with Grandpa's! The senior citizens are all suffering from sugar rush, but at least you'll be regular. This is is the cake she really meant to send to Grandpa: dried fruit and tombstones! Here's your Christmas treat! 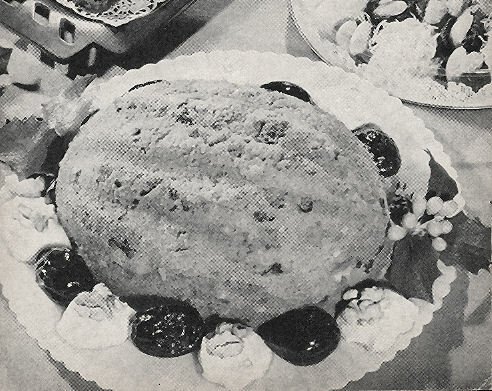 Spock's Brain Pudding surrounded by alien spores!